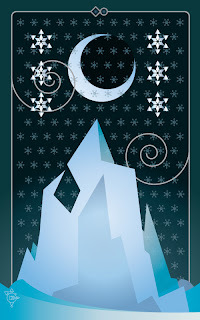 Since snow is still in the forecast (and because I haven't finished the suit yet), I present...more Snow! 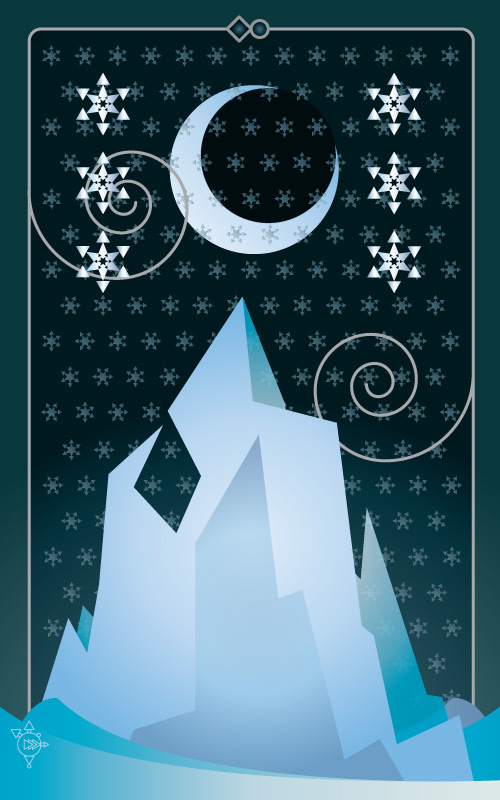 This is a reworking of last year's "The Ice Age," which was originally envisioned as a Major Arcana card, but now seems to fit much better within the suit of Snow. I now only have the Five -- which I've never drawn at all -- and the Seven (which must be redone because I totally hate it) to go to finish this suit. Hurrah!